مرحباً، أرغب بالاستعلام عن عقارك رقم بيوت - 2018099. أرجو منك الاتصال بي في أقرب وقت ممكن. # 4 Bed Room . . .
# 3 Bathroom . . .
# Guest room . . .
# Hall . . .
# Kitchen . . .
# Private Entrance . . .
# 2 Shaded Parking Area . . . This Villa is close to Masjed and Markets so it is best choise for easy reach to community . >>>For More information and book for site visit Contact us now ! Established in 2008 as Real Estate Management , leasing and brokerage company in UAE to be a key player in the local real estate market . 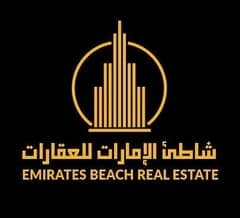 EBRE manages and leases residential and commercial properties in Abu Dhabi and Al Ain , as well a growing number of properties located in Dubai and northern emirates .  Residential sales and leasing .  Commercial sales and leasing .  Valuations and Property Management.